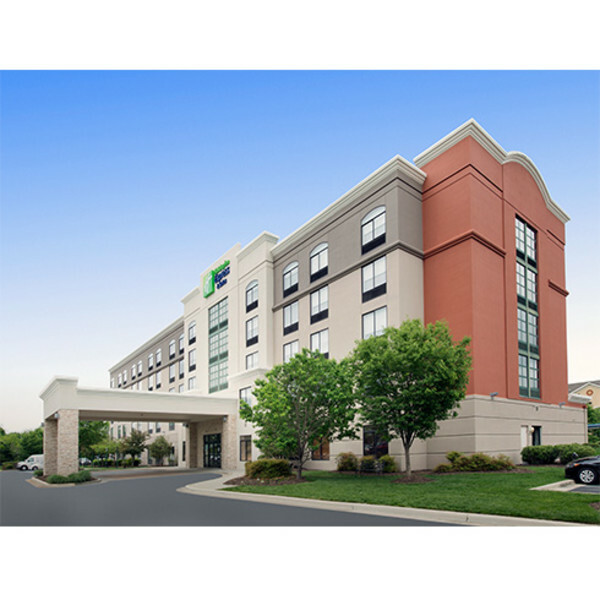 The Holiday Inn Express Hotel & Suites Baltimore – BWI Airport North is just 3 miles to Baltimore Washington International (BWI) Airport so you can make getting to and from your flight easy. 3 miles to the Baltimore Light Rail means you can get to downtown Baltimore or Inner Harbor in 20 minutes to watch a game. Take advantage of easy access to I-95, 295 and I-695. Leisure guests will love our proximity to Arundel Mills, with both shopping and casino. Government travelers appreciate our 7 mile proximity to both Fort Meade and NSA. Enjoy walking distance to a variety of restaurants. Our free shuttle operates to and from the airport 24 hours a day, leaving the hotel every 30 minutes. Our oversized accommodations, both standard rooms and suites, also offer free Wi-Fi, parking (during your stay only) and hot breakfast. Maintain your workout routine at our enlarged 24-hour fitness center or go for a swim in our indoor pool. Each room is equipped with a microwave, mini-refrigerator, iron and in-room safe. Business travelers staying in our Linthicum Heights accommodations will not be disappointed given our ample amenities. Our meeting space is ample, at 1205 square feet and the business center is available 24 hours. Book Now!